It’s easy enough to just copy the columns, paste them into Notepad, and save as .txt files if you don’t have too many, but to do that every time you make changes is really frustrating. It’s easy enough to get Matlab to sort this out for you as well, but I’m kind of Matlab-phobic and prefer to use R for everything that needs scripting. So, here’s a quick and dirty little snippet of code that goes through a spreadsheet and saves the contents of every individual column as a separate .txt file with the title of whatever is in the first row. 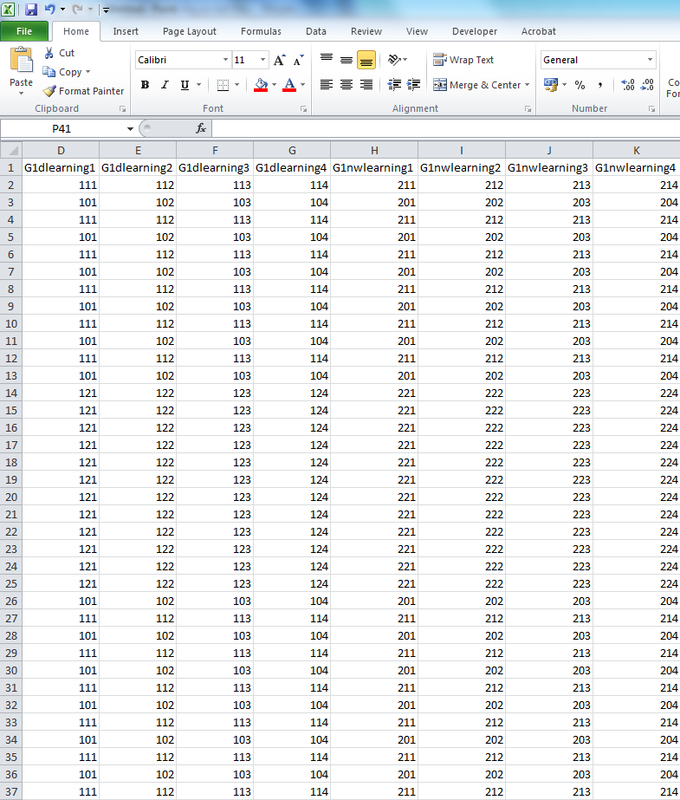 All you have to do first is save your Excel sheet as a .csv file. It’s messy code, but it does the job just fine and saves lots of time and frustration. ← (almost) everything you ever wanted to know about sound-symbolism research but were too afraid to ask. It’d be even easier with using xlsx::read.xlsx2(), then you could import the Excel file as-is. Very true! I’ve kept this to only using the base packages, but that does work better.